By Ryan Whitwam on Nov. 1, 2013 at 8 a.m. It's leaner, meaner, and ready to unify Android while putting carriers in their place. 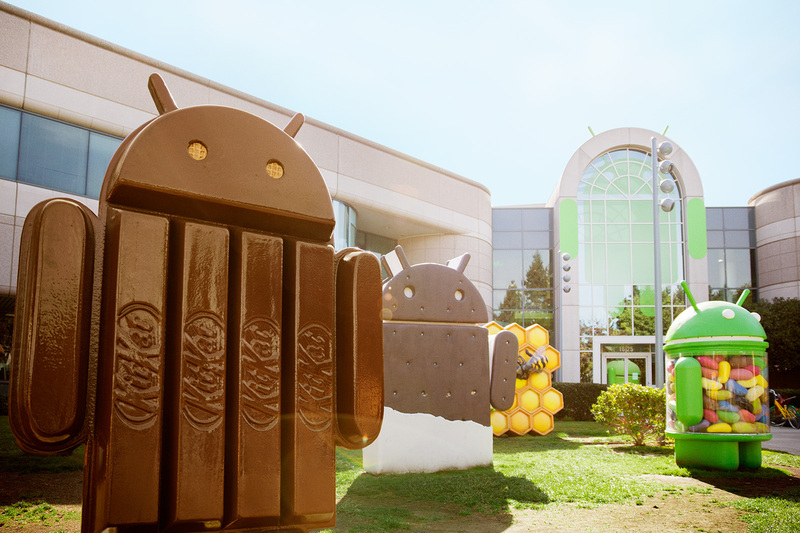 Google managed to hide the truth about Android 4.4's branding until the statute went up on the Google lawn at the end of September. While we found out then that the software was going to be called KitKat instead of Key Lime Pie, Google didn't really tell us anything about features. Well, now it's all public and this is definitely looking like the biggest update to Android since 4.0 debuted in 2011. In this release Google is focusing on pulling Android together, refining the homescreen, and making your data easier to access. Let's dive in and see what makes KitKat tick. Android 4.1 included a set of speed and fluidity enhancements know collectively as Project Butter. With Android 4.4 we get Project Svelte, which optimizes the platform for devices with limited RAM -- as little as 512MB. Better performance is certainly a good thing, but that's just the beginning of what Project Svelte could do for Android. The problem of fragmentation has been omnipresent in discussions of Android updates ever since its inception. That's not just because flagship phones like the Galaxy S4 and HTC One wait a few months too long for updates, but because there are innumerable entry-level and mid-range Android devices that NEVER run a current version of Android. Rather than work to slim down a new version of Android for these phones, OEMs often go into the back catalog to get an old version of the platform that was designed with more modest specs in mind. Project Svelte could work to make sure more low-power devices are running Android 4.4 and later out of the box. There will be tools for developers to design more streamlined apps for low-memory devices, and the platform itself will use aggressive memory protection to ensure the experience is not negatively impacted by a single app or process eating up too much RAM. This could improve Android not only on phones and tablets, but on wearable devices like Google Glass and smart watches. The high-end device you salivate over might be a little faster, but so will all those cheap and free on-contract phones that make up a big chunk of Android. The launcher has been updated with Android 4.4, but Mountain View hasn't explained all the details regarding its possible debut on other devices. We do know that the new launcher can be installed on other Android devices using the unmodified APKs from the Nexus 5 system image, which is encouraging. What we've seen so far looks very much like the leaks with the transparent status and navigation bars and a configurable number of homescreens. Android's homescreen experience now has more Google Now integration than ever before. Swiping to the left from the main homescreen brings you straight into the Google Now card view. Off to the right are all the other home screen panels, which might take a little getting used to. 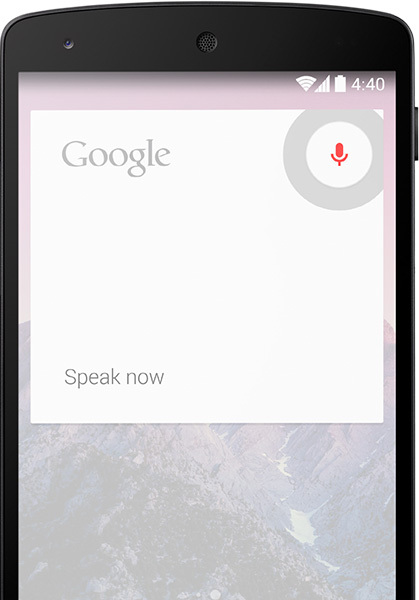 The Google Now voice search hot word has also been expanded to work from the home screen too. Simply call out "OK Google," and the device will launch into voice search mode. The translucent system UI will change to the classic black in most apps, but developers can specify the clear look on a per-app basis. That has the potential to make for some really attractive apps that feel more in-tune with the device. In fact, some of Google's apps will reportedly do this at launch. Apps will also be able to completely hide the system UI bars with the new full-screen mode. Previously, this was only possible with video players. So if you're playing a game or reading a book, the app could take over the entire screen, filling it with content. When you want the navigation buttons back, an edge gesture will pop them back up. This is obviously of primary interest on devices that use on-screen buttons. Android 4.4 includes a new way to handle NFC interactions without accessing a secure element in the physical NFC chip. Sound like a boring developer-oriented details? Incorrect, this is Google showing the carriers who's boss. Until now, NFC payment systems like Google Wallet needed a provisioned secure element in the device to store account details. It was this requirement that allowed carriers like Verizon to block the app. By insisting that Wallet not be bundled with devices, Google Wallet couldn't access the secure element properly and was essentially useless. After being dared by Verizon to do so, Google has implemented Host Card Emulation (HCE) to securely emulate credit cards, transit passes, security cards, and basically anything that uses NFC. It does all this without touching the secure element -- the Nexus 5 doesn't even have a secure element in its NFC chip. This addition means that carriers won't be able to block Google Wallet on any 4.4 device with an NFC chip. It also gives developers the ability to plug into NFC in a more useful way for mobile commerce solutions. 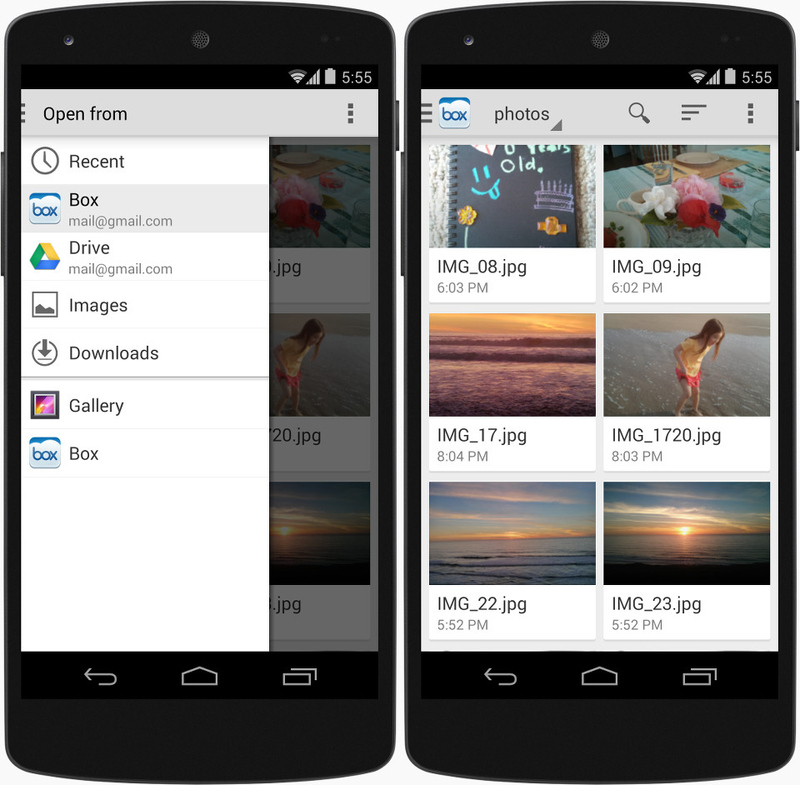 Android 4.4 includes two new frameworks that will improve the experience of working with files and documents on your device. The new storage access framework allows developers of apps with cloud storage to register with the system as a storage container in much the same way apps have long been able to register as a sharing handler. Any app that wants to manage files can implement the storage framework and seamlessly pull in the file lists from these services in a single UI with the local files. 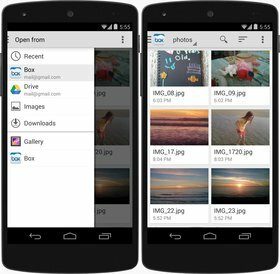 For example, if you're using a photo editor with the framework, you could access images from your Google Drive, Dropbox, and local storage from the same app without signing into anything again, and without even leaving your photo editing app. To go along with that, Google has implemented an improved way to print documents and images directly from your Android phone. KitKat adds the capability to scan the local WiFi network for printers and send the file over instantly. This will rely on printer apps being built with the necessary print services, but HP is already supporting the framework. Apps that utilize the new printer access simply need to create the necessary UI elements and create a paginated PDF from the content -- Google enforces PDFs as a way to maintain quality. Remember how awesome it was to have native screenshots in Android 4.0 on the Galaxy Nexus? It's going to be even more awesome to have native screen recording in Android 4.4. Google has built-in the ability for users and developers (but mostly developers) to capture videos of the screen output and export them as MP4s. This feature is going to be useful for making videos of yourself playing a game or to demonstrate a problem you're having with an app. There should be an included app to do screen recording in Android 4.4, but the Android SDK tools will also include screen recording support in the DDMS Monitor for developer types. Streaming video apps can protect copyrighted content by adding the SurfaceView.setSecure flag. This will prevent screen recording from working when that app is in the foreground. It's never fun to have to dance around copyrights, but it's probably a necessary step in this case to ensure streaming video continues to be available on Android. 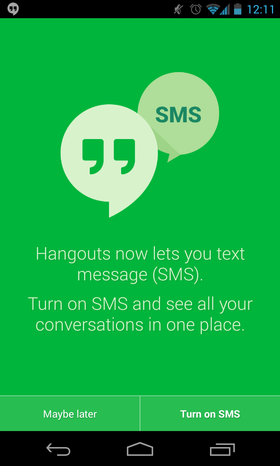 Hangouts is going to be integrating SMS on all Android devices soon, but in Android 4.4 it completely supplants the messaging app. KitKat also enforces a one-app limit on active SMS providers that are permitted to write to the SMS Content Provider, a central repository for all text messages. You can use other apps if they have the right permissions, but the default app gets automatic access to all the messaging threads. Google occasionally makes tweaks to the way phone calls work on Android, but not as often as you'd expect for an OS that is technically for smartphones. 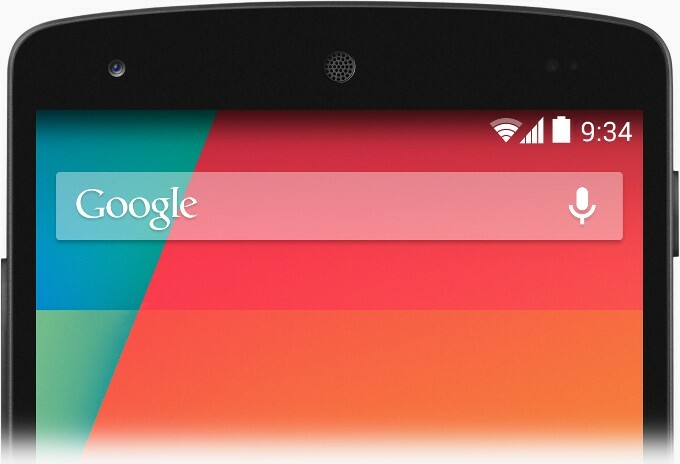 KitKat finally gives phone calls a much needed overhaul with a Google Now-inspired phone app. It will automatically arrange contacts based on who you talk to the most, and it includes a quick search box for finding both contacts and nearby places. When a call comes in from an unknown number, Android 4.4's new smart caller ID swings into action. It will search the number against the Google Maps database of local businesses and check for a match. If it can figure out who it is, you get the business name and photo on the answer screen before you accept. Cool, right? There's no support for residential numbers yet, but hopefully that's coming later. Great! When Can I Have It? If you bought a Nexus 5 before they went on multi-week backorder, you'll have KitKat as soon as the device is in your hand. The Nexus 4, Nexus 7 (2012 and 2013), Nexus 10, and the Google Play Edition HTC One and Galaxy S4 are all getting speedy updates to Android 4.4. The Nexus devices should be out in a week or so, but the GPE phones might take 2-3 weeks. If you're using a different device, you're potentially looking at a few months for newer devices, or never for older ones. 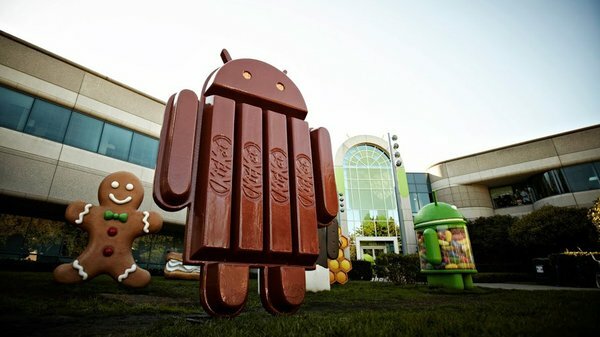 It will take OEMs at least a month or two to build new ROMs from KitKat source, but the big guys like HTC and Samsung have already been granted access early. 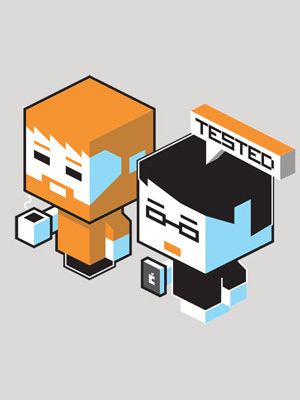 Once that's done, the updates have to go through network testing with carriers. That's more than likely going to be the big holdup. Unlocked international devices might see updates in just a few months, whereas most carrier-locked phones will be looking at a minimum three months. That's the deadline HTC has set for itself to bring Android 4.4 to the US HTC Ones. There may also be some more mid-range devices coming into the Android 4.4 club thanks to Project Svelte, but only time will tell if Google can finally knit together the diverse Android ecosystem with KitKat.